About 15 years ago, amongst a batch of Anemone seedlings, Elizabeth spotted a plant very with different character to the parent and showing real hybrid vigour. This was placed aside to grow on and watch. This young plant was delightful and has since proved to be the most beautiful and long flowering plant we grow. 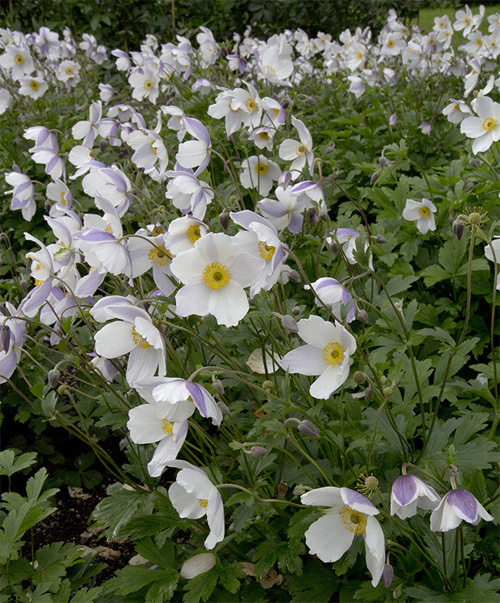 In 2005, greatly encouraged by Roy Lancaster, we decided to try to release this plant to the wider horticultural world, and named it Anemone 'Wild Swan', but first it had to be propagated. We slowly increased the stock, but to produce large numbers tissue culture proved to be necessary. This was a long process with many setbacks but eventually we were ready to launch it. It was first shown at Chelsea Flower Show in May 2011 on Hardy's exhibit, to great admiration, and our thanks to Rosy and Rob Hardy for showing it so well. 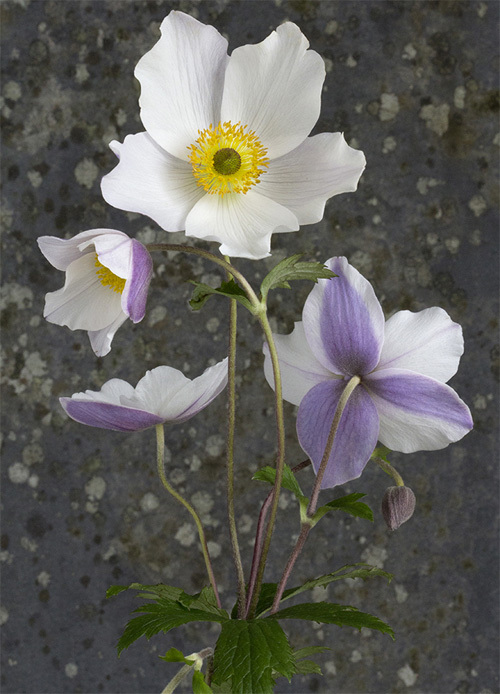 Anemone 'Wild Swan' was awarded 'Chelsea 2011 Plant of the Year', a huge accolade and surprise and delight to us. Monrovia Nurseries have introduced it in U.S.A. and in August 2013 it was awarded 'Best of Show' of all the new introductions at Farwest Show in Portland OR. During the many years we have been growing the plant, we have found it very well behaved, it stays where you put it and does not invade its neighbours as can happen with Japanese Anemones. For continuous flowering it prefers a rich and fertile soil which does not become too dry. In the south, dappled shade would be a good environment. There are now several other 'Swans' coming to market, the result of continued breeding ... see the catalogue list. Our stock field at Ellenbank.